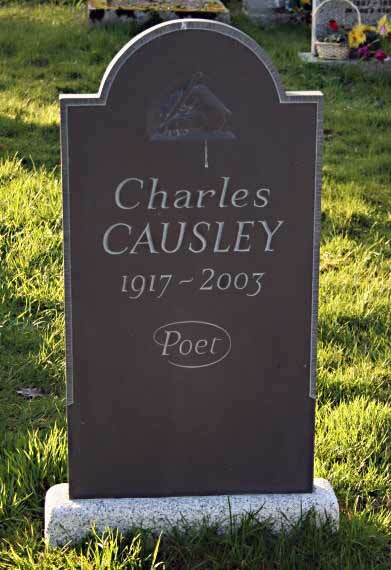 Charles Stanley Causley | Launceston Then! Charles was born on August 24th, 1917 to Charles and Laura (nee Bartlett) at Launceston. He was given the second name of Stanley in memory of his Uncle Stanley Bartlett who died during the First World War and he would later write a poem in his memory simply called’ Uncle Stan’. His father was born in St. Thomas, Ontario, Canada of British parents and worked as a Gardener. 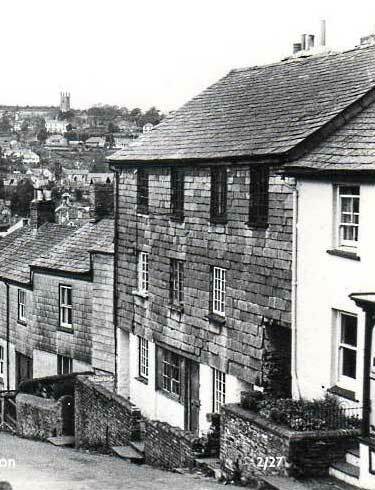 In Charles’s youth the family lived on St. Thomas Hill, Launceston (below left). 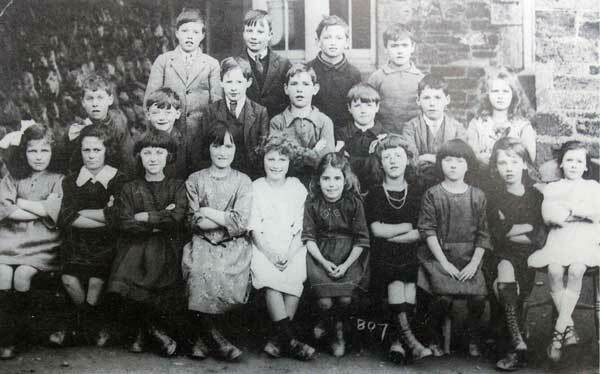 He was educated at the National School, Launceston (Charles is 2nd left in the middle row). His father died in 1924 of a lung condition induced by the conditions under which he served with the Army Service Corps (Service No.T4/2443) in the trenches during the First World War and Charles was brought up by his mother to whose care in her later life he devoted himself. Charles left school at 15 to earn money, working as an office boy during his early years, but is reality he wanted to continue his education by going to university, something that his mother dissuaded him from doing. Laura indeed found it difficult to understand her son and his clear differences to his contemporaries. However, Charles loyalty towards his mother meant that he bided her wishes and stayed at home. During his youth he was a member of a local Minstrel band playing keyboards. His first play ‘Runaway’ was published when he was only nineteen. He served in the Royal Navy during the Second World War, serving aboard ‘HMS Glory’ as a coder, an experience he later wrote about in a book of short stories, Hands to Dance and Skylark. 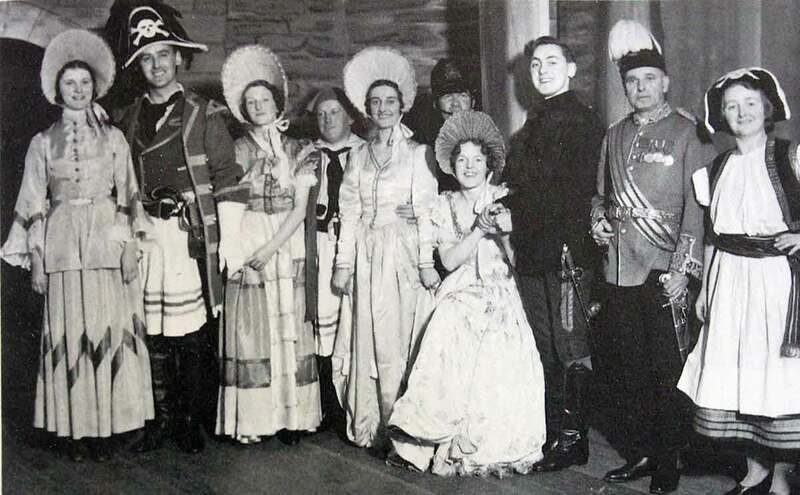 The Charles who left Launceston in 1940 with twelve other recruits was not the same man that returned in his demob suit in 1946. He was more confident and more ambitious. The Navy had taught him he had a lot more than just to keep accounts. He took advantage of a government scheme designed to help returning servicemen and the English school system after the 1944 Education Act, Charles enrolled in a teacher training programme. He studied for a Cert. Ed. in teaching at primary and secondary level, specialising in English and History. He found Maths more difficult but he overcame this problem. He gained a place at Peterborough Teacher Training College beginning in the Autumn term of 1947. Although he suffered from homesickness, he persevered, and successfully passed his exams. He returned to Launceston to take up teaching at his old National School on St. Thomas Road (below left). 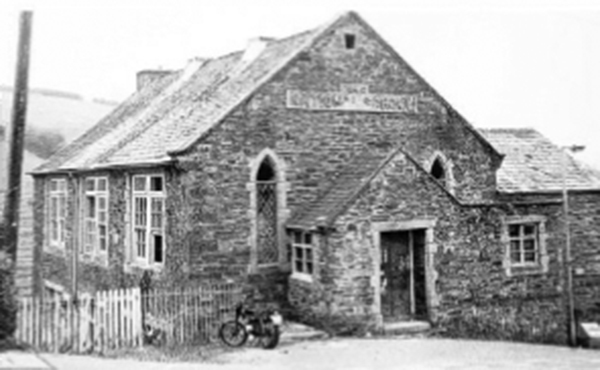 Fred Davey was at National School at the time as Charles was a first teaching there, and he remembers Charles produced a magazine and Fred wrote a small piece for it about a parrot. 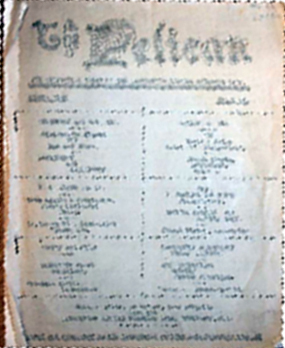 (Charles later edited a magazine for the Jubilee baths at Underlane, called the Pelican below right). His first collection of poems, Farewell, Aggie Weston (1951) contained his “Song of the Dying Gunner A.A.1” . “Survivor’s Leave” followed in 1953, and from then until his death Causley published frequently. He seldom left the town and when he did, it was somewhat reluctantly, though he twice spent time in Perth as a visiting Fellow at the University of Western Australia, and worked at the Banff School of Fine Arts in Canada, and especially after his retirement which taken early in 1976 was much in demand at poetry readings in the United Kingdom. He made many broadcasts. In 1958 Charles was made a Fellow of the Royal Society of Literature and he was awarded a CBE in 1986. Other awards include the Queen’s Gold Medal for Poetry in 1967. He was presented with the Heywood Hill Literary Prize in 2000. 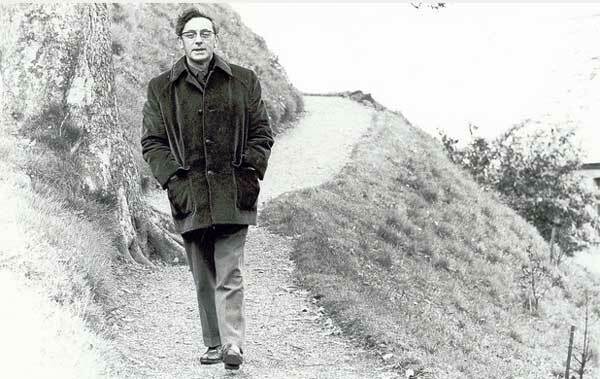 He was also a member of the Poetry Panel of the Arts Council of Great Britain between 1962 and 1966. Charles and his mum, Laura at St. Thomas Church. BOOK: Boswell, The Life of Samuel Johnson Listen to the actual programme here. 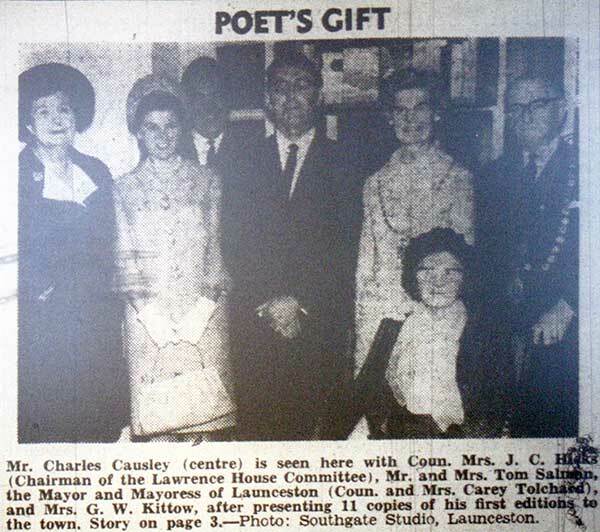 Charles gifts Launceston 11 copies of his first editions of his poetry in 1968. He was a well regarded and good teacher who was quite strict. 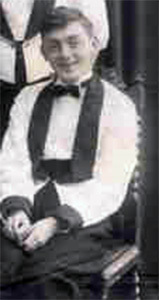 He is remembered for saying if anyone was away from school on a Friday that they were suffering from ‘spelling fever’. Catherine Striplin, one of his pupils from National School, remembers that she’d had a rather bad day with her work and had been rather slow in her writing, upon the return of her book the next day after Charles had marked it, the letters SSSA were written across the page. It stood for Sammy Snail Strikes Again! Charles retired in December of 1976. 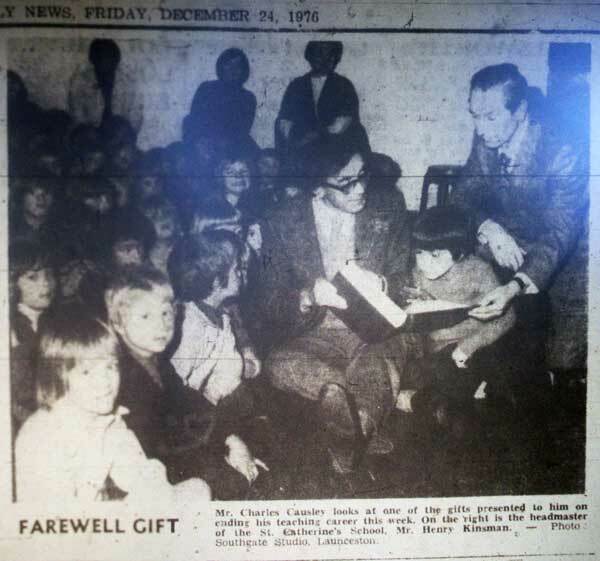 Charles receives a retirement gift in 1976. He was a big fan of ‘Dads Army’ and Spaghetti Westerns and enjoyed playing his piano in the writing room. Charles was also a famed lover of cats and his last one was called ‘Rupert’ who died in 2007. In his later life Charles health was such that he removed himself to live at Kernow House, whilst there friends would bring ‘Rupert’ up to see him. After a series of small strokes and the onset of Parkinson’s disease, Charles died there on November 4th, 2003 and was interred at St. Thomas Churchyard one hundred and eighty seven paces from his place of birth. 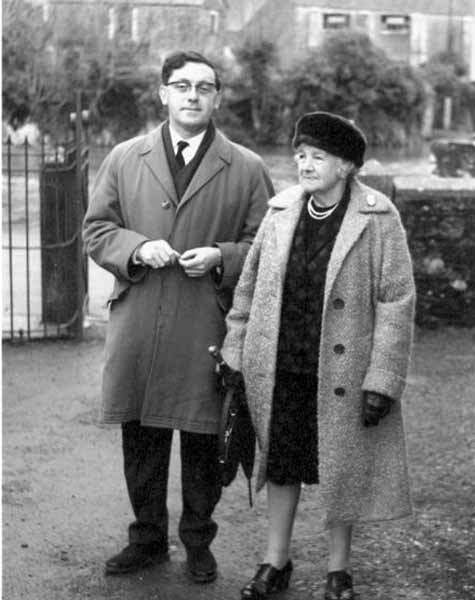 Charles Causley Trust website. 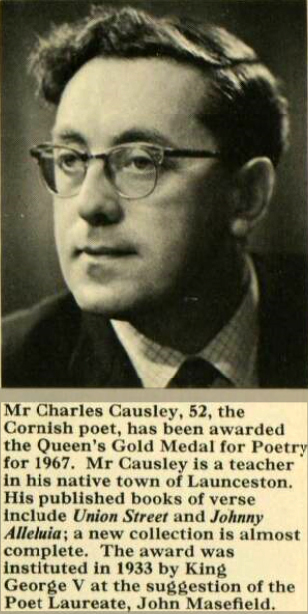 Charles Causley Society website.